WWP Remastered not running smoothly – is there a way to fix it? Hi guys, I’ve recently tried Worms World Party Remastered and, in comparison to Worms Armageddon, the gameplay doesn’t seem to be playing smoothly, even though it is claimed to run at 60FPS. It appears to have frame losses or something as it’s noticeable when a worm is walking straight or when bringing the inventory onto and out of the screen. Does anyone know how I can make that game run smoothly like Worms Armageddon? Re: WWP Remastered not running smoothly – is there a way to fix it? 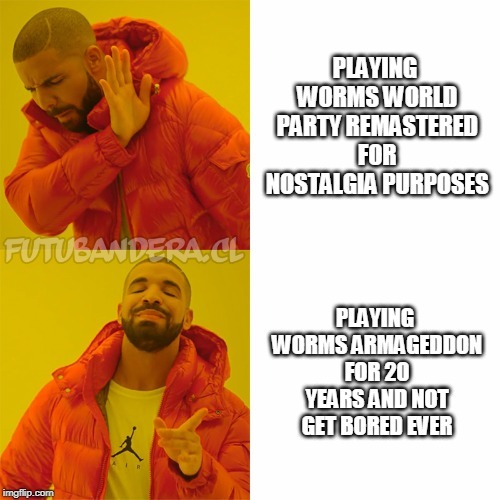 just play Worms Armageddon. simple. Wish I knew how to fix that problem too as I've never cleared the missions of that game, which aren't the same ones in Worms Armageddon. I hope someone who can actually help has an answer unlike these two simple-minded individuals. 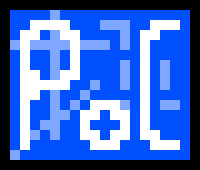 Your best bet is to find an ISO of the original WWP and play that instead. The 'remastered' Steam version is a buggy, unoptimized mess. Still didn't go through W:A singleplayer campaign haha. After probably 6-8 thousand hours of online playing. But gonna be on it asap. Let me know if you get that WWP working and from where so I can do those missions as well.